To promote and maintain a safe and desirable living and working environment for the citizens of Jonesboro. It is our responsibility to help maintain and improve the quality of our community by administering a fair and unbiased enforcement program to abate violations of the City Codes of Ordinances. Description of Duties: Code Enforcement conducts inspection of all residential and commercial properties within the City Limits relating to violations on premises and structures (interior & exterior) which includes tall grass, illegal signage, junk vehicles, cleanliness of premises, zoning inspections, erosion control inspections, business licenses, animal control and noise abatements. Derry L. Walker is a native of Atlanta, Georgia and received his High School education from the Atlanta Public School System. Mr. Walker entered the United States Marine Corps immediately after High School. In 1991, Mr. Walker began a career in management and shortly after he began his career in inspections in 1998. 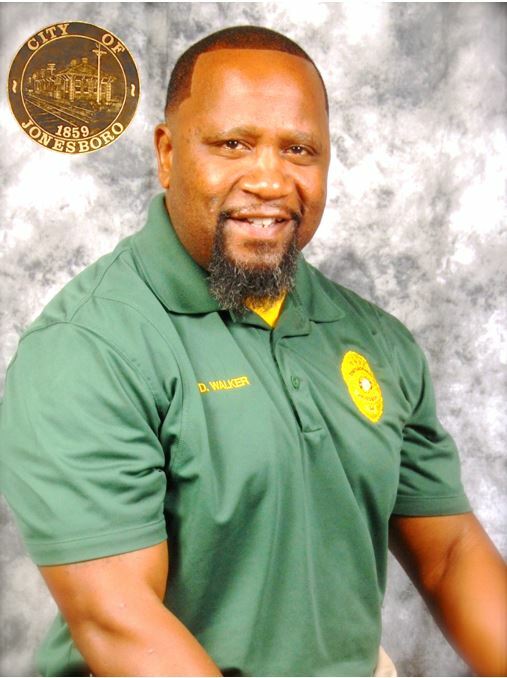 Over his 16 year career, he has been employed as an appraiser, inspector, code enforcement officer, housing inspector and a quality control inspector. Mr. Walker received his State certification as a State Registered Real Property Appraiser and Home Inspection from Barner Fletcher School of Real Estate. Mr. Walker also received his ICC Certification as a Property Maintenance & Housing Inspector, and ICC Residential Building Inspector from the Clayton State University. Mr. Walker also holds a Level 2 Certified Plan Reviewer from Georgia Soil and Water Conservation Commission. In addition, Mr. Walker has received his Level 1 & Master Certification from the University of Georgia Carl Vinson Institute of Government.